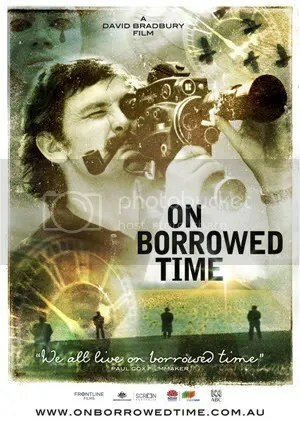 On Borrowed Time is a documentary, and you may have noticed that I have a particular fondness for documentaries. The interesting thing about this particular documentary is the subject. Paul Cox himself is a prolific filmmaker that is the subject of this documentary because he has been diagnosed with liver cancer and needs a transplant to survive. If you’re like me, you have never seen a Paul Cox film, or perhaps never even heard of him. Here is his IMDB page to help get acquainted, but knowledge of his films is unnecessary going into On Borrowed Time. The film gives the story of Cox as a human as well as a filmmaker and photographer. He has a terrific eye for spotting beauty. His films are incredibly intimate and personal, shot using many “amateur” actors without makeup, very little script, and realistic situations. The glimpses of the films during this documentary will likely make you want to run out and see his entire catalogue of films. 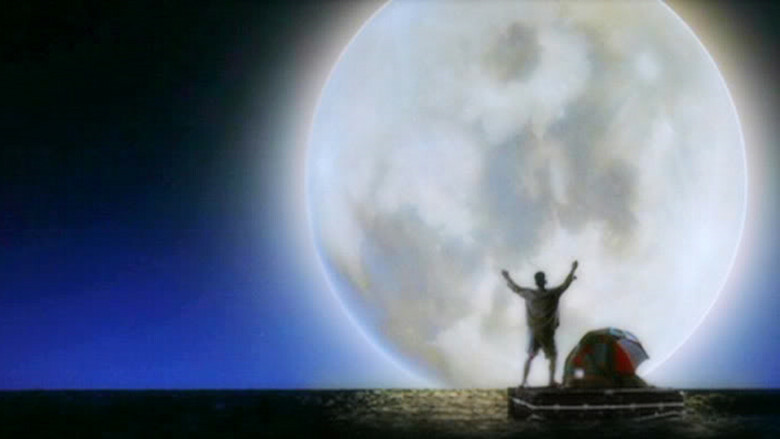 During most of the film, Cox believes he is dying, and rightly so. He comes incredibly close to the end before getting extremely lucky (on Christmas day, as well) and receives a transplant. He truly believes he has been born again and has a new appreciation for life on top of the beauty he had already been capturing during his lifetime. It’s fantastically uplifting to see and hear Cox in the film. Cox came back for the Q&A session after the film was shown and spoke about his experiences, his life and his films. 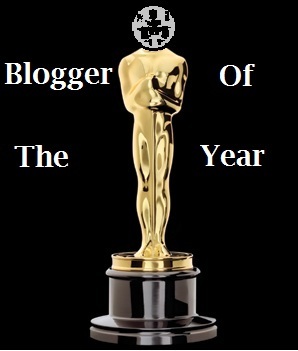 In fact, this year, Paul Cox was the dedicatee for Ebertfest. It was remarkable to see his rawest moments on screen and have him discuss them openly with the audience, but it was an incredible, personal session. I urge everyone to seek out a Cox film, not because I think they will be easily liked, but because he seems to be fairly unknown. I will be trying to see at least one of his films before the year ends. On Borrowed Time serves as the perfect backdrop for the life of Paul Cox, even if you don’t know his work. Kinyarwanda starts with an explanation of what Kinyarwanda means; the native language of Rwanda spoken by its natives. It is a nod to the unity of the people, despite the atmosphere there. Kinyarwanda follows several story lines during the Rwandan genocide between warring factions, Tutsi and Hutu. The tone is not entirely bleak, there are several charming moments, notably a small boy that misunderstands that men looking for “guns and cockroaches” are not looking for a VHS tape of an action movie and actual cockroaches living in a cupboard. Where the film does suffer, however, is that the 4 or 5 story lines are intertwining and overlapping without a consistent timeline. The film seems to go back and forth in time with no regard for telling the audience. It muddles the plot that would be otherwise enjoyable. The film itself is powerful and the actors are quite on form. 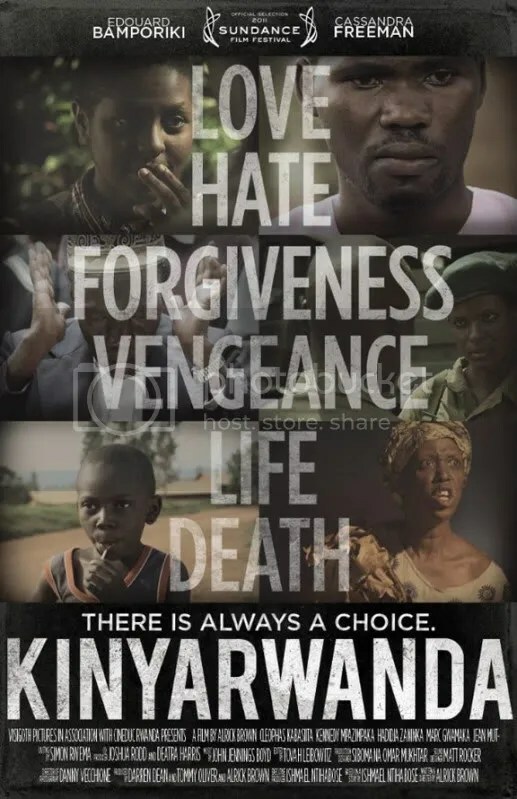 Movies like Hotel Rwanda got the genocide exposed to audiences, but perhaps were partially sensationalized, if that’s the correct term, whereas Kinyarwanda focuses more on the people during this trying time. Before the movie, the writer/director, Alrick Brown, introduced the film and asked us to try to forget any preconceived notions we had of Rwanda, its people, and the genocide. I think this helps Kinyarwanda tell its own tale but it does not give us too detailed a background of what is happening in the nation. But the film is touching and shows an interesting perspective of people rising above these horrors. To kick things off for Day Two of Ebertfest, we were treated to Big Fan. 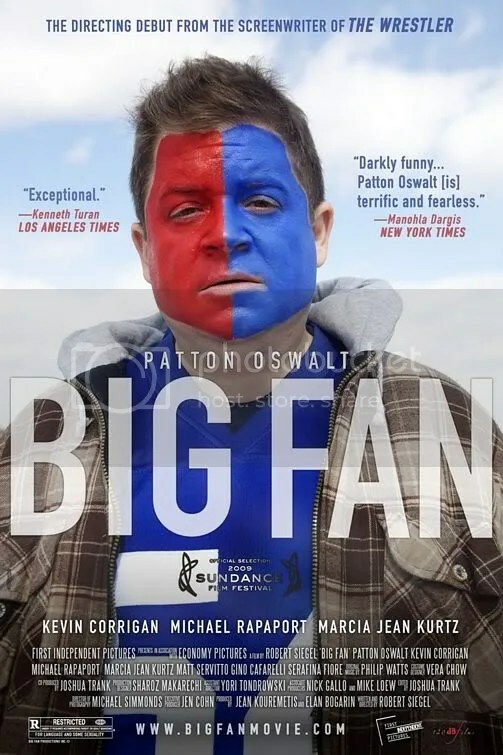 Big Fan is a movie about a New York Giants superfan, Paul (Patton Owalt) that spends his life obsessing with the Giants. He spends his free time, as well as some time at work, writing diatribes to call-in sports shows at one in the morning. His life changes forever when he finally meets his hero, Giants player Quantrell Bishop (Jonathan Hamm). His life changes even more when Bishop beats him within an inch of his life. Paul is by most accounts, a total loser. He lives with his mom, works as an attendent in a parking garage, and has no aspirations beyond rooting for the Giants. His indifference to what his family wants for him is partially what makes him an interesting character. While it’s easy to judge him and write him off as a loser, Paul is truly happy with his choices in life. Even for those of us that have a small interest in sports will find relatable things in Paul’s lifestyle and his behaviors. Big Fan is a movie about sports at its core, but it is quite removed from being a “sports movie”. One can literally have no knowledge of the sport of football and still understand nearly everything in this film. 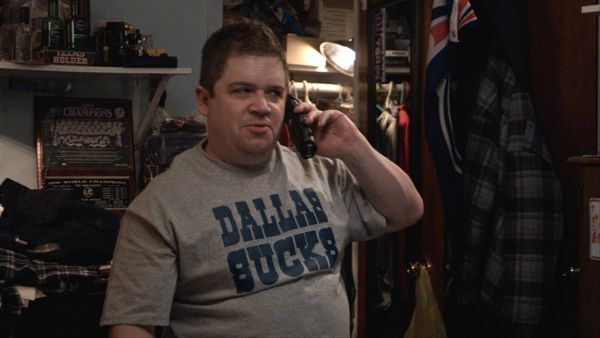 In fact, during the Q&A session with writer/director Robert Siegel, he admitted that Oswalt himself has an embarrassingly little amount of sports knowledge, yet nails the role. Speaking of the Q&A session, it was one of the best at Ebertfest so far. Siegel was genuinely funny and frank about his movie and it was a delight to hear from him and his thoughts. It’s an absolute shame that Patton Oswalt, whom was scheduled to be here this week, was unable to attend, Siegel more than made up for his absence with his charm. While it wasn’t a technical discussion, it was informative and introspective to the process of this movie and others. I give it 4 radio sports show call-ins out of 5. My buddy, Julian, and I arrived in Champaign Illinois about 2 hours ago for the 14th Annual Ebertfest! You can see the line-up this year here. I still have a few movies to write about from the past week, but those will be put on hiatus as I write about the films shown here. 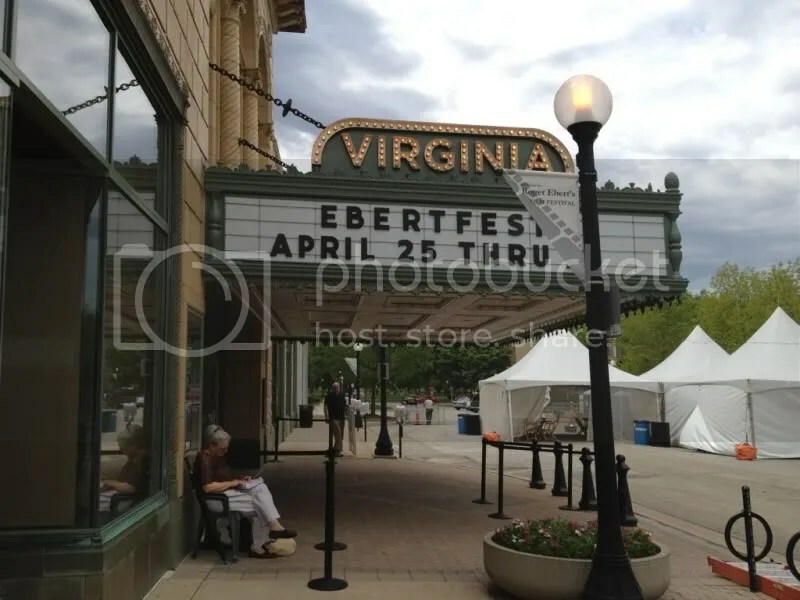 So for the rest of the week, expect several posts about Ebertfest, I’ll try to post regularly, but I am falling behind on reading all the blogs I follow, so bear with me! 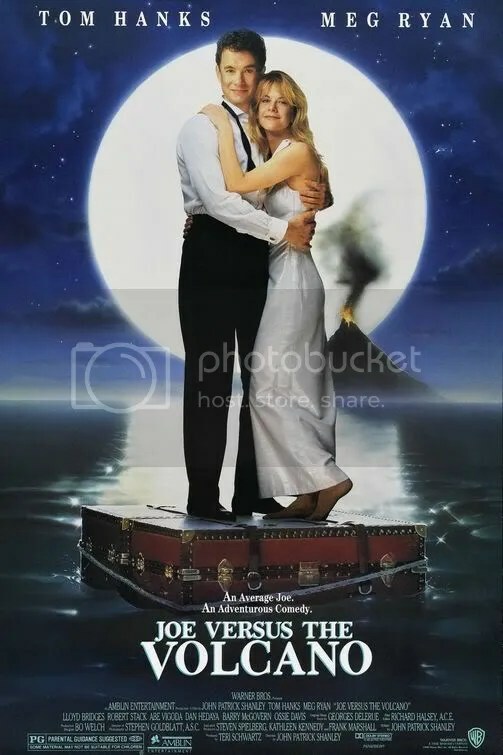 Things are kicking off here at 7pm central with Joe Versus the Volcano! I’m Still Here is a documentary/mockumentary? about Joaquin Phoenix’s downward spiral, directed by longtime friend and brother-in-law, Casey Affleck. I’m not even sure where to start with I’m Still Here since it’s hard to draw a line on what is real and what is staged. Supposedly, the entire film is staged but I find that hard to believe. 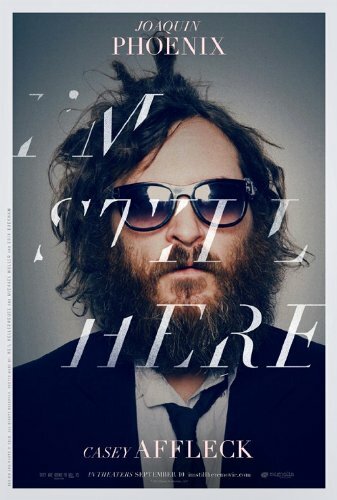 One thing is certain, it destroyed Joaquin Phoenix’s career, at least for a few years. The plot, if you can call it that, is about Joaquin Phoenix’s decision to quit acting and pursue a terrible rapping career. He also seems to forego personal hygiene and take an accelerated interest in prostitutes and drugs. The downward spiral of an Oscar nominated actor is somewhat interesting to watch and I genuinely thought he had snapped. Perhaps the best way to summarize I’m Still Here is by showing Phoenix’s interview with David Letterman. We see a clearly disheveled Phoenix, but I also notice he seems to smirk at some of Letterman’s jabs. Is that showing that this is all a ruse? Supposedly, Letterman was in on the gag. Isolated, it seems like this was all an incredibly long and elaborate prank on the celebrity of an individual. Together with the rest of the film, it’s simply a mildly disturbing portrait of the ruination of man. Assuming I’m Still Here is a mockumentary and the whole thing was an act, it’s actually somewhat brilliant. However, Joaquin Phoenix literally killed his career for 4 years, with no acting credits from 2008 until 2012. Is the benefit of a film like I’m Still Here worth that? Hell no. But I suppose Phoenix knew that going into the project. It’s not Andy Kaufman-esque, it’s just career suicide. I give it 2 this is what a rapping hobo looks like out of 5.